Some people may think that trains are going out of business, but that could not be further from the truth. It may surprise some to think how trains have evolved up until this point. Before, they were a revolution in travel and now they are used for high efficiency or luxury transportation purposes. No longer are they the standard in transportation. The luxury trains make it a point to stick to the fundamentals of traditional and elegant style in trains, and modern commercial trains are getting faster and carrying more people. The Golden Eagle launched in Moscow in 2007. The train features three different types of accommodations. One can choose from the Imperial Suite, Gold Class, or Silver Class. Moreover, each class adds to the luxury by featuring in suite bathrooms. The train only has two Imperial Suites which are 120 square feet in size and have a king size bed. The train’s main route takes passengers to and from Moscow and Vladivostok. In addition, there are special routes that include the Silk Road, the Russian Arctic, as well as the Caspian region. 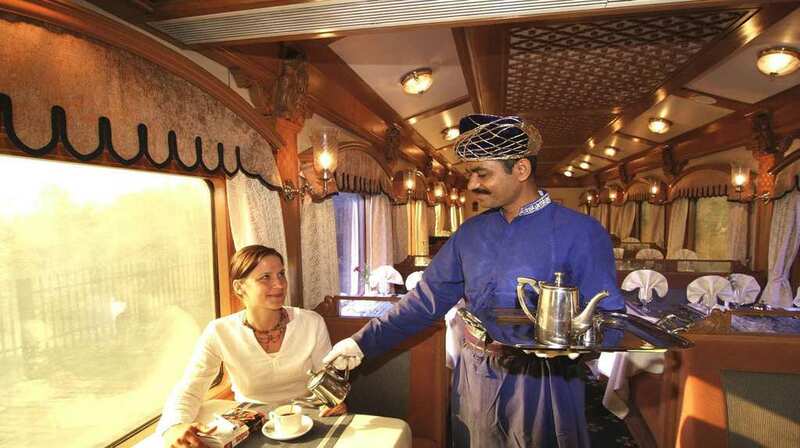 One of the most luxurious trains traveling on the Indian subcontinent, the Deccan Odyssey is known for its journey between Delhi and Mumbai. The train’s cars were built in 2003, and were recently upgraded with new bedspreads and carpets. The train is made up of 12 sleeping cars of which there is two cabin types: deluxe and presidential. The deluxe cabins have built in bathrooms and showers as well as double or twin beds. 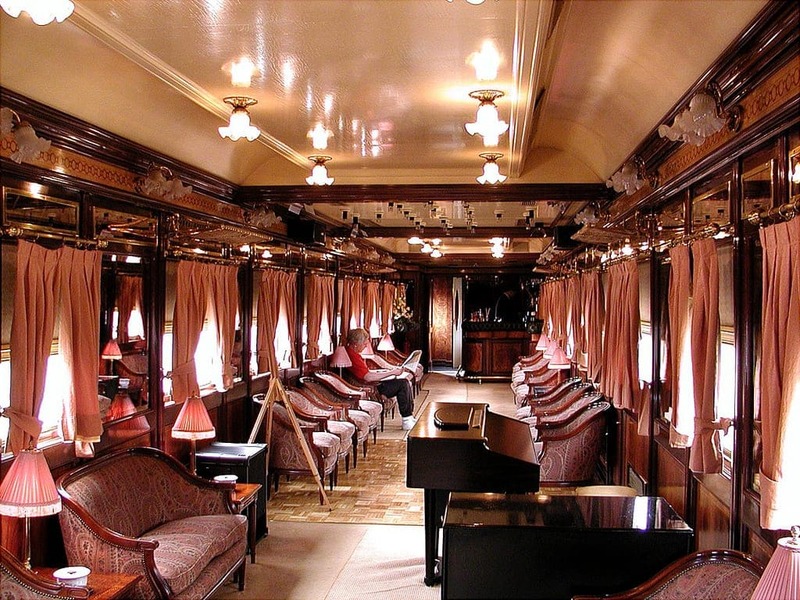 There are only four Presidential suites which each take up half a train car. In total, the train can accommodate 88 passengers. 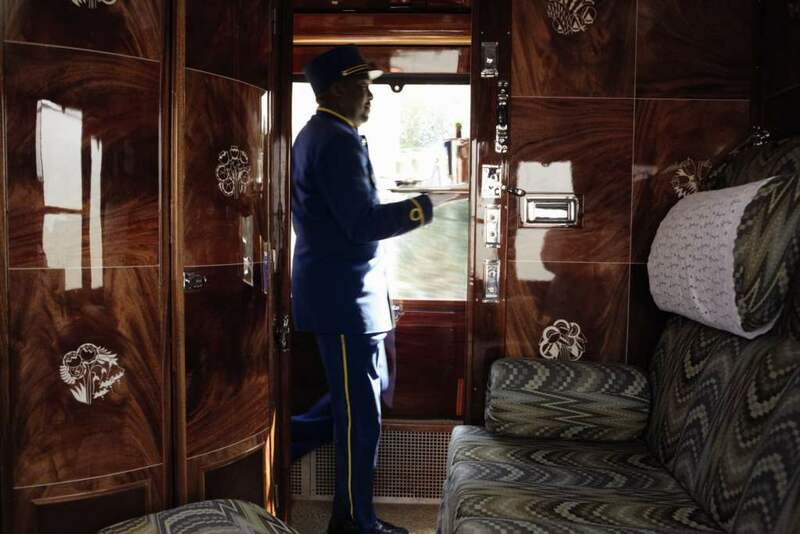 Another of the most luxurious trains from the 1920s era is the Pride of Africa. Still considered one of the finest experiences a train traveler can have, the train is well known for its incredible service and food. In addition, the cabins have all been rebuilt using teak paneling and traditional furnishings. 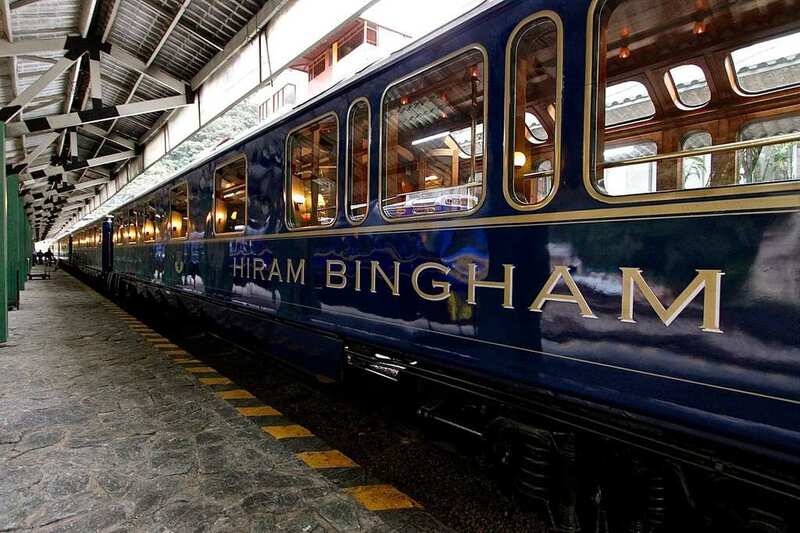 The train features three classes: Pullman, Deluxe and Royal Suites. All meals are served in one sitting and accompanied by fine South African wines. The Golden Eagle Danube Express has the capability to carry a total of 56 passengers. The train is made up of two dining cars, lounge car, and five sleeping cars. Out of the five sleeping cars, four are Deluxe cabins leaving a single Heritage class cabin. The train travels through Budapest, Prague, Sarajevo, Turkey, and even Iran on occasion. Another great feature about taking a tour on this train is the fact that everything is all inclusive; meaning that food, drinks, tours, transfers are all settled and you can enjoy them at your convenience. 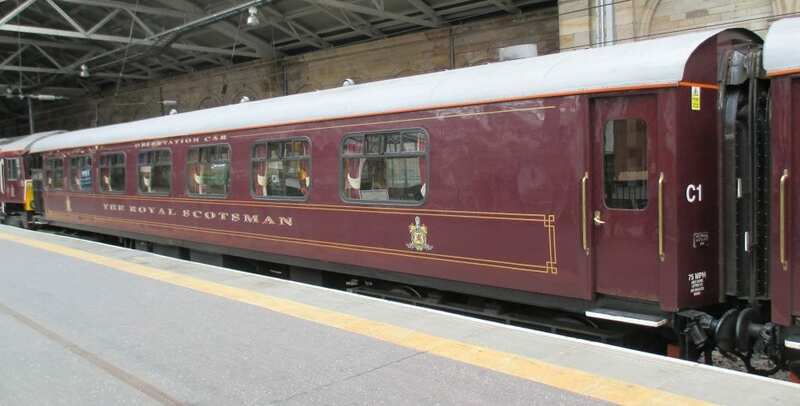 The Belmond Royal Scotsman is a small but luxurious train. It can only fit just 40 passenger, but for that small group it is an incredible experience. 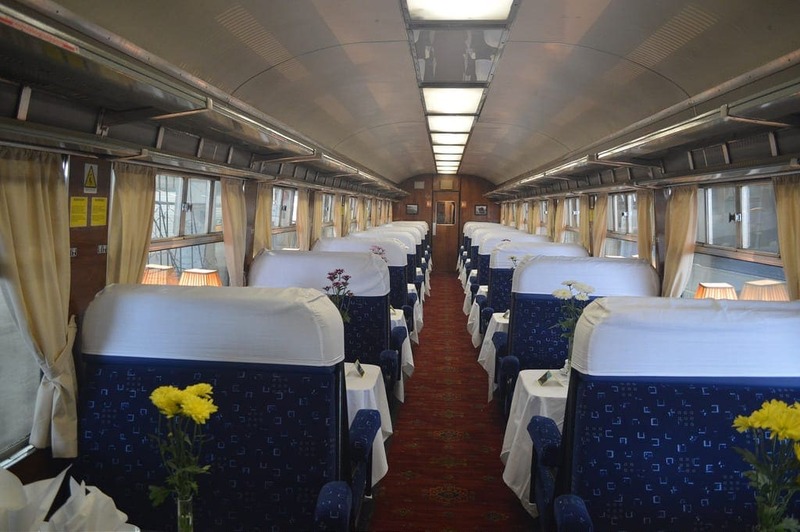 The train features excellent service along with its five star wining and dining experience. All the equipment is vintage 1960s but with an Edwardian twist including varnished wood, fine fabrics, and polished brass. The train has added a new carriage for this year; it is called the Bamford Haybarn spa car and adds even more luxury to the train. The El Transcantabrico can carry a maximum of 52 passengers. Originally started in 1983, the train journeys across the north of Spain. The train features six sleeping carriages which all contain four compartments that fit two and have built in bathroom facilities. In 2011, they launched a new service. The service is called Gran Lujo and features ultra luxurious suites which take up about half a train car or about 129 square feet. Not only do you get more space but a private lounge area, personal computer, flat screen TV, and plenty of storage. Only 28 passengers are accommodated by the new service. 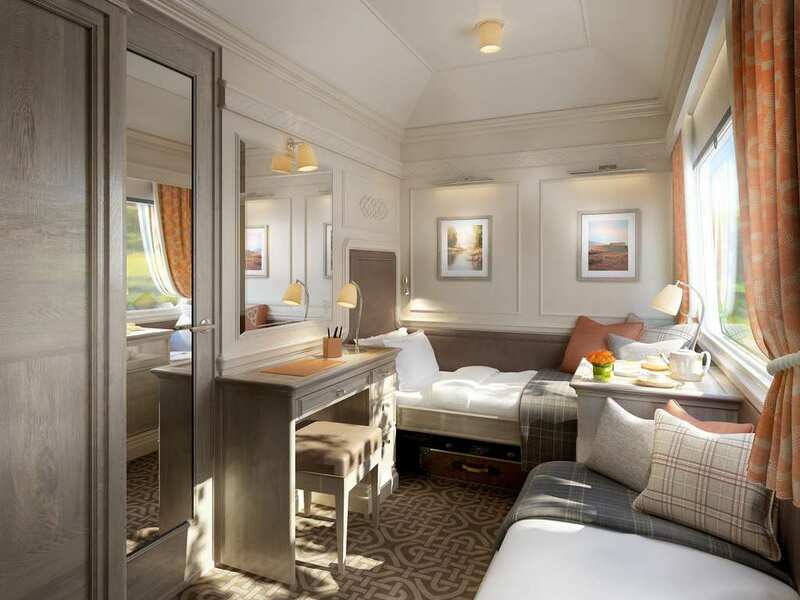 The Belmond Grand Hibernian, which launched in 2016, is the first overnight luxury rail experience one can get in Ireland. The train can accommodate 40 passengers and has 20 deluxe cabins. Although the train has a contemporary feel, in terms of its interior design, it still touches on elements of classic Irish history and tradition. Each cabin has a built in bathroom, wardrobe, writing desk/chair, and large windows that enable you to enjoy the beautiful Irish countryside. With regard to the food, the Grand Hibernian is known to have some the the best food and is comparable to the best restaurants in Dublin. The Orient-Express company purchased a New Zealand train in 1991. It was then transported to Southeast Asia where it was refurbished and renamed. The route that the train takes adds up to a total of 1,262 miles. In terms of countries, the train goes from Singapore through Malaysia to its final destination of Bangkok, Thailand. In 2017, the train added some extra amenities for passengers riding in the Presidential Suites. 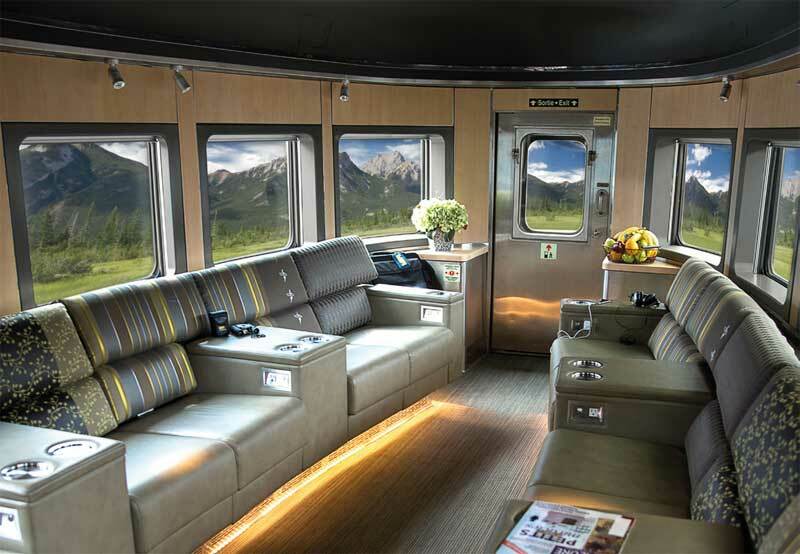 Among these extras, guests will enjoy cabin wi-fi and even private limousines at stations. Newly renovated, the Al-Andalus train returned to the tracks back in 2012. Since then, it has been boasting its beautiful 1920s Art Deco style cars traveling down its route across the south of Spain. The train has a maximum capacity of 64 guests. Each cabin features facilities in room as well. 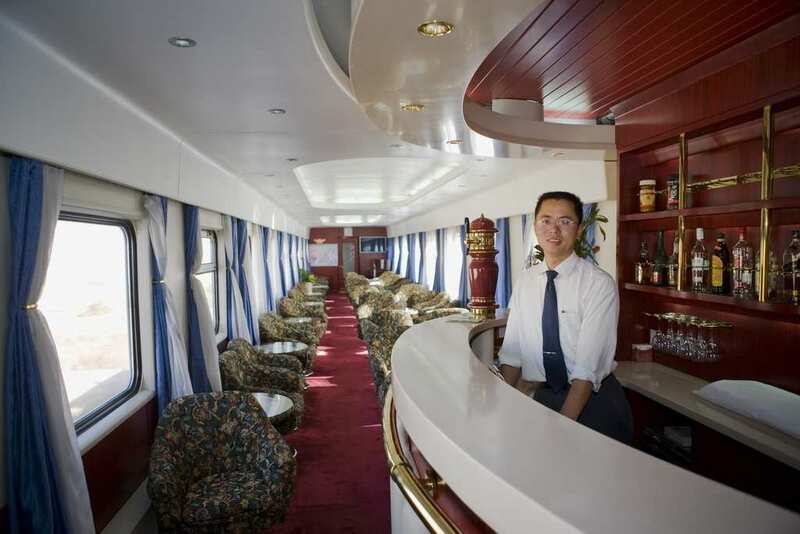 Moreover, the train has two seperate dining cars, a bar and lounge. Each car is air conditioned and freely accessible to every passenger allowing for a free and pleasant train experience. 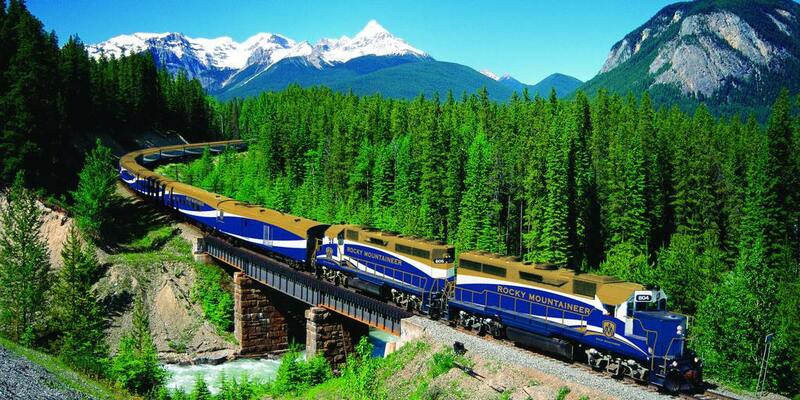 The Rocky Mountaineer has newly and officially become an international train. Before, the train only passed through Canada, but now it has a stop in Seattle, Washington. Although it is a first class train, it has different levels of service from which one can choose. One can choose from SilverLeaf, GoldLeaf, or GoldLeaf Deluxe services. GoldLeaf guests will be able to dine in the diner for breakfast and lunch where a multi-course meal will be made. SilverLeaf guests, on the other hand, will be served in their seats. 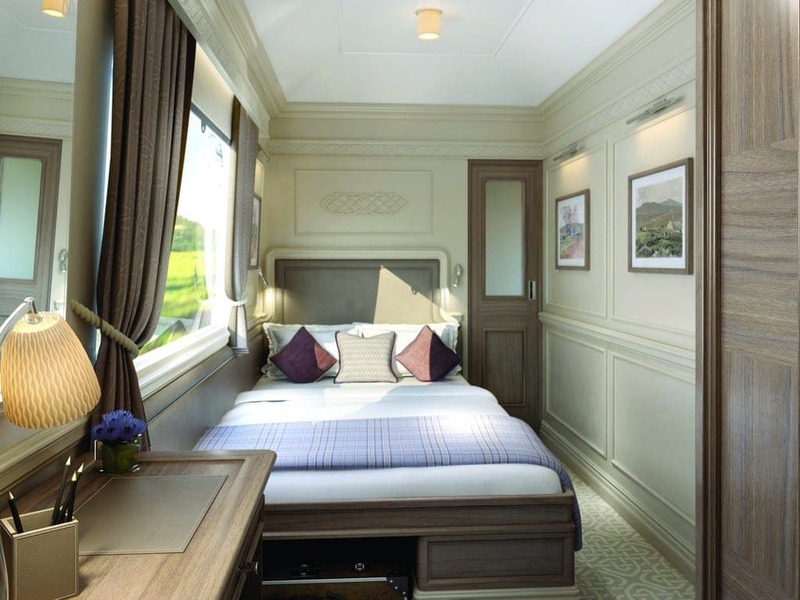 Planned to launch in May, 2017, the Belmond Andean Explorer will be the first luxury sleeper train in South America. Running along the Peruvian Andes from Cusco to Lake Titicaca and Arequipa, the train travels along some of the world’s highest rail routes. Compared to some of the other trains on the list, this train has a small capacity. It has a maximum capacity of 48 passengers, and only has 34 cabins. In addition, there will be an open air platform, lounge car with piano and bar, and a spa car. The Shangri-La is a first class train experience that takes its passengers on journeys through Russia, China, and Tibet. The train features two different levels of service. Its higher end service is the Diamond Class which provides guests with a cabin that has built in bathroom facilities. In addition, it has large double beds for the passengers. The other class is called Heritage Class. In Heritage Class, passengers are provided with twin beds in their cabins and the cabins share bathroom facilities. The shower is separate from the shared bathroom. The Glacier Express is a Swiss first class train that takes its passengers between the resort towns of Zermatt and St. Moritz. The train takes around eight hours to travel the 168 miles making it one of the slowest express trains in the world. The train traverses some seriously mountainous terrain. Due to the terrain, the ride consists of passing through 91 tunnels and over 291 bridges to get to its final destination. The train also features both first and second class panorama cars; just be sure to avoid the busy season. 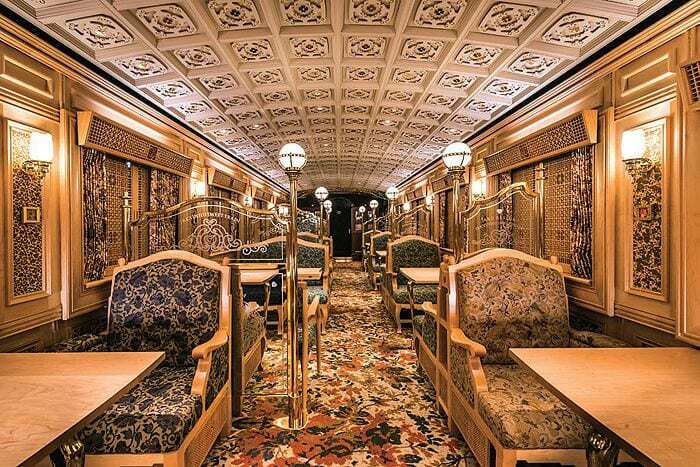 The Kyushu Seven Star is Japan’s first luxury train that began making its trips in 2013. The demand to get a ticket for the train was overwhelmingly high. They decided that people would have to participate in a lottery to get tickets for the train. There are 14 en-suite cabins that are complimented by a dining and lounge car. Moreover, each of the 14 rooms for the guests are unique. One thing that sets this train apart from others is that it will make an occasional stop and offload the passengers so they can take a little scenic excursion. 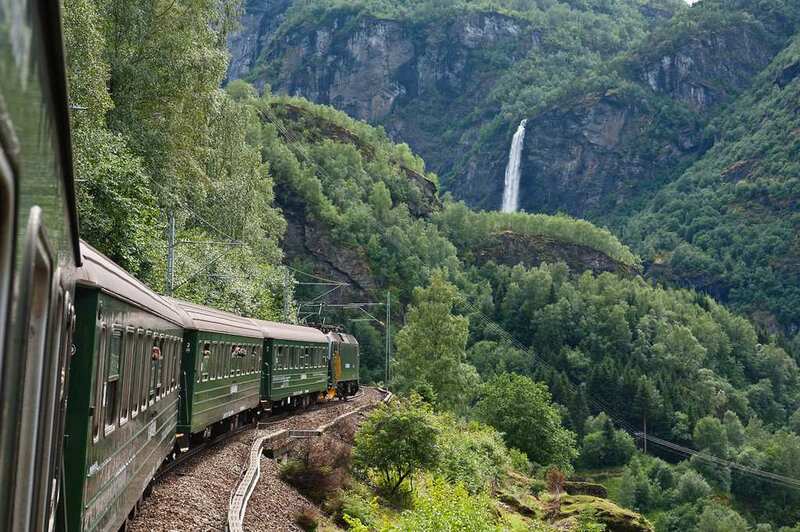 The Bergen Railway, that has been around since 1909, was the only line that connected Oslo and Bergen at the time, and it only became electrified in 1964. The trip from city to city takes approximately seven hours to complete the 300 mile journey. While on the trip, passengers will pass over 300 bridges and through 200 tunnels. The train only takes trips during the day, and does not have any on board meals. 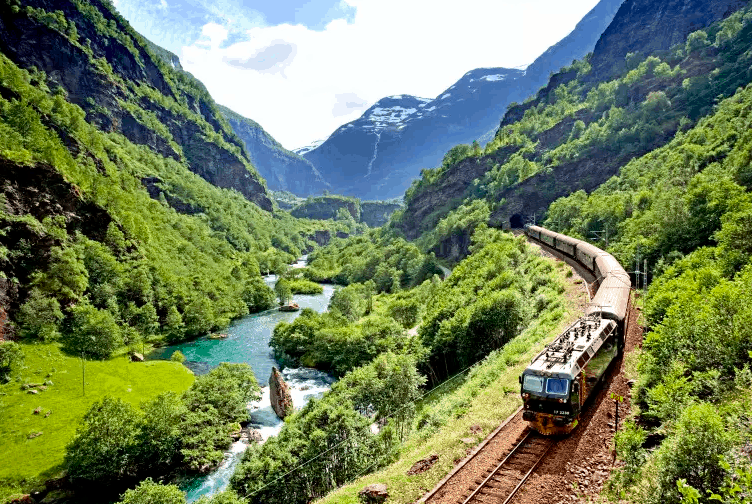 Since the train travels across the Hardanger plateau, one has a great opportunity to catch some views of the wildlife in the breathtaking wilderness. 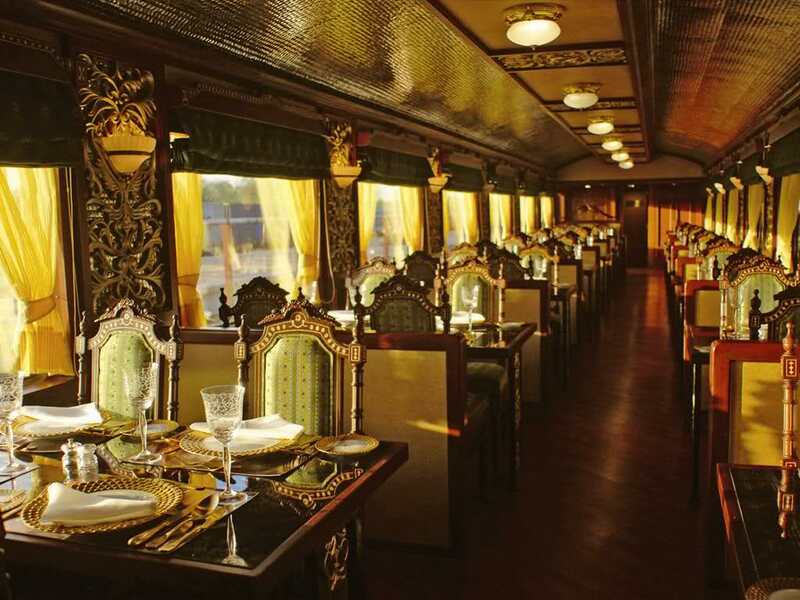 The Maharajas’ Express is a state of the art Indian luxury train that can handle a maximum of 84 passengers. The train was built with the intent for it to be one of the most luxurious train in the world. 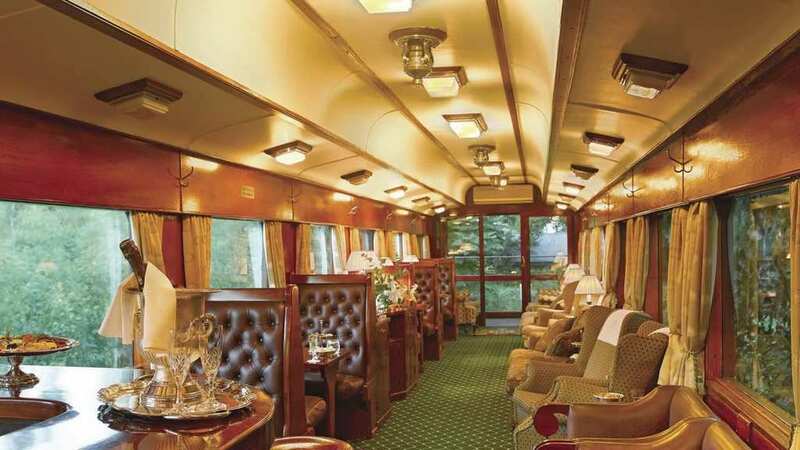 The train has a total of 22 cars which include two dining, two luxury, and an entire car devoted to the Presidential Suite. Each cabin is packed with amenities for the passengers including LCD tvs, wi-fi, temperature control, and big windows. 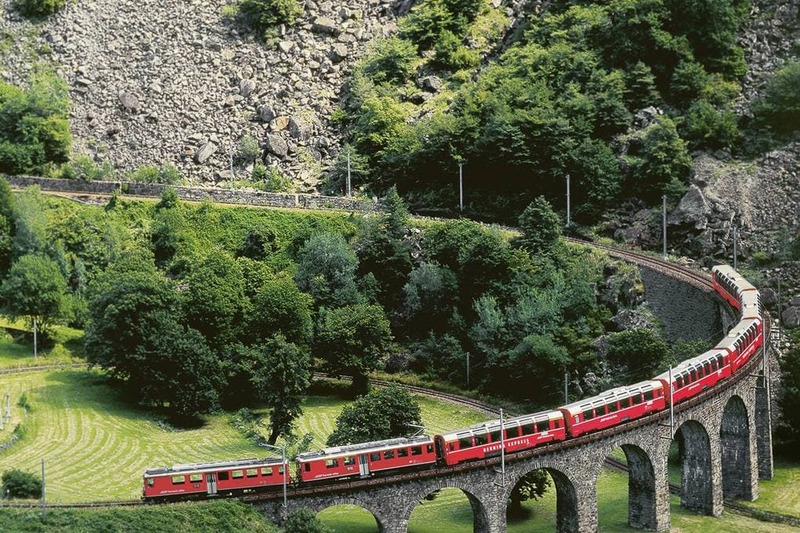 Completed in 1910, the beautiful Bernina line is run by Rhaetian Railways. The route, which starts in either Chur, Davos, or St. Moritz, includes the highest railway in all of the Alps as it passes Piz Bernina. The railway has grades of up to 7% along the 38 mile route and drops from 7,391 ft. at the peak of the summit to 1,408 ft. as it arrives in Tirano, Italy. The train requires reservations for all seats and it a daytime only ride. 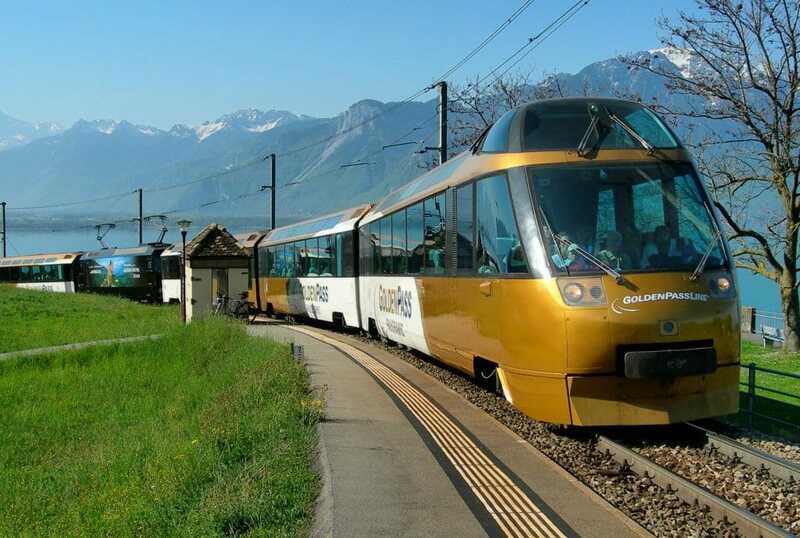 The Golden Pass Panoramic Express offers both first and second class panoramic cars. One can enjoy incredibly beautiful views from the oversized window, and there are also small ceiling windows in the cars that allow passengers to look up and enjoy a nice view of the sky. The First Class cars accommodates up to 33 passengers in groups of four and two. The Second Class cars can fit a total of 48 passengers. In addition, there are Superpanoramic trains that have extra VIP seats over the engineer. The three and a half hour journey made by the Hiram Bingham takes its passengers from the city of Cusco to the mysterious abandoned Incan city of Machu Picchu. 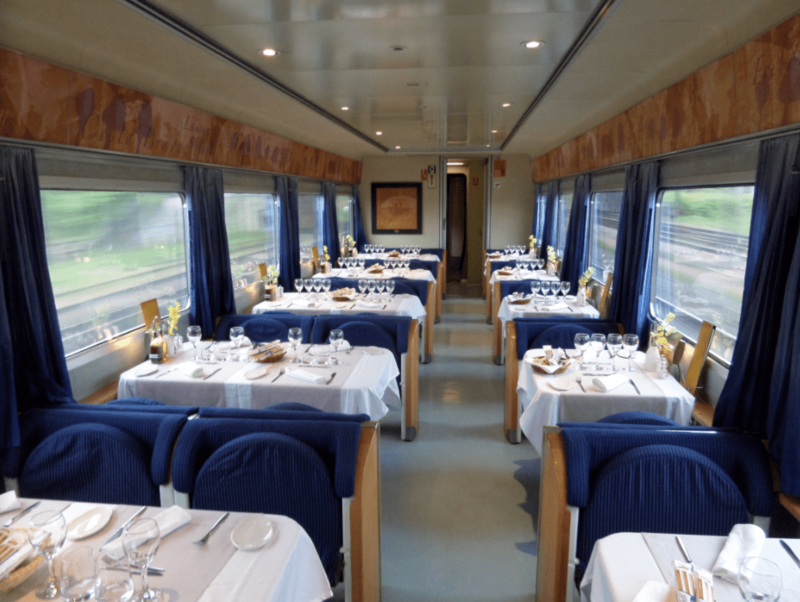 As far as dining goes, the dining car can accommodate 42 passengers in a single sitting. The passengers are served a Peruvian brunch on the way to Machu Picchu followed by dinner on the way back. In between, passengers can visit the lounge car for a lovely drink and some gorgeous views. 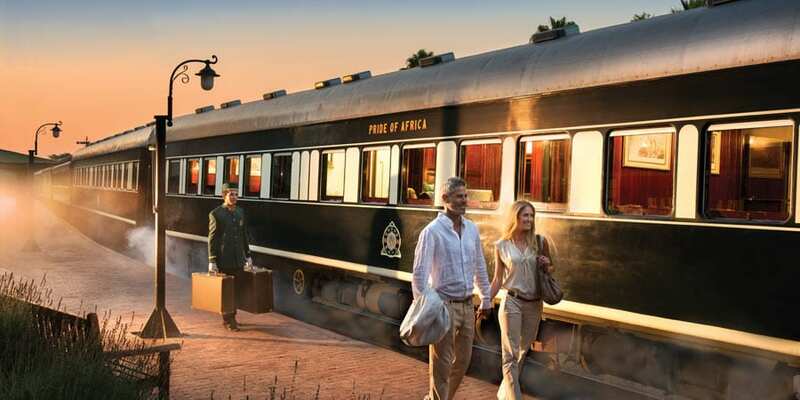 The Belmond British Pullman is made up from 11 restored cars that were all originally made between the 1920s and 30s. Each car can fit up to 20 to 26 passenger making the total capacity for the train around 226. Nearly every car has tables for couple or groups of 4; the only exception is a car that has a few tables for groups of 3 or passengers traveling alone. All food experiences on the British Pullman are handled with extreme care and attention in order to ensure a memorable experience . 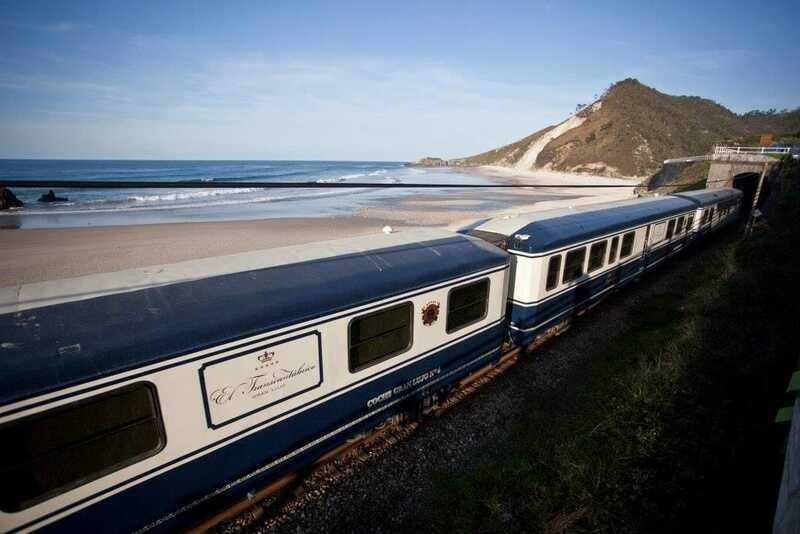 Largely considered one of the best luxury trains, The Blue Train ferries its passengers between Cape Town and Pretoria. The 994 mile journey is 27 hours long, but this includes a stop for some sightseeing on both the sides of the trip. The train is run by a state owned company and it only makes it voyage eight times a month. In addition, there are two train sets; one of which can accommodate 74 passengers, while the other can take up to 58 passengers. 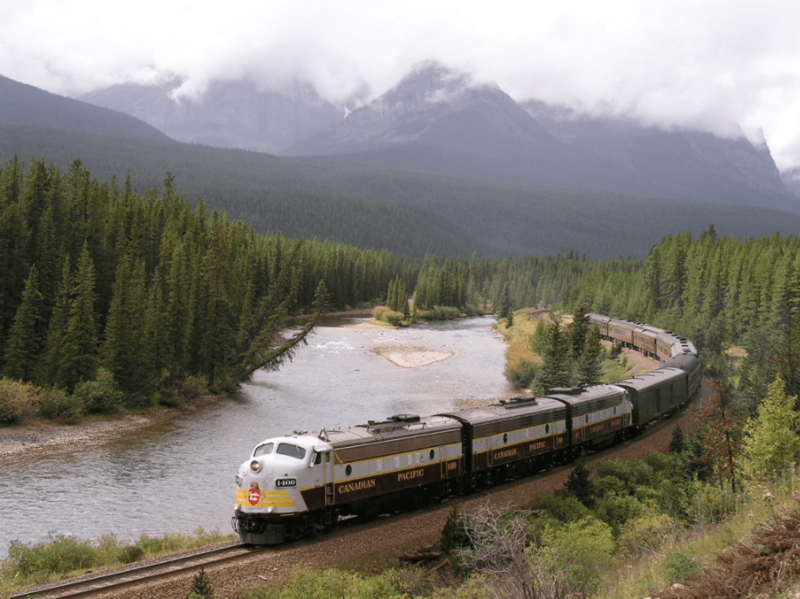 The flagship of VIA Rail Canada, the Canadian, transports passengers between Toronto and Vancouver a total of three times a week. In total, the journey spans 2,775 miles. Those that are lucky enough to ride in the new Prestige Class will receive a rather large bedroom that includes all kinds of amenities and upgrades such as the larger bed, free alcohol drinks, butler service, flat screen tv, and even first choice for meals. Passengers in the Prestige Class also have access to the dome cars that offer views to enjoy that others would envy. Little sister to the aforementioned Seven Stars in Kyushu, The Sweet Train is another of the special creations thought up by the creative minds at JR Kyushu. 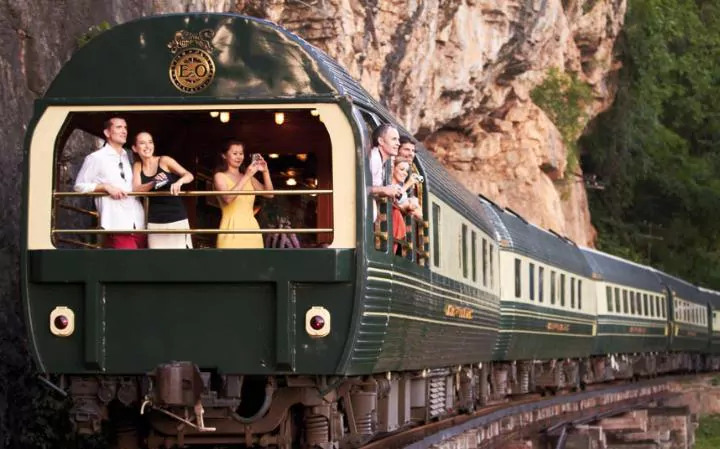 The beautiful train is unique in that it’s a luxury experience that spans all of two train cars and the tickets need to be booked months in advance. The trip is only two hours and features a delicious light lunch that is then followed by four elegant courses of dessert. 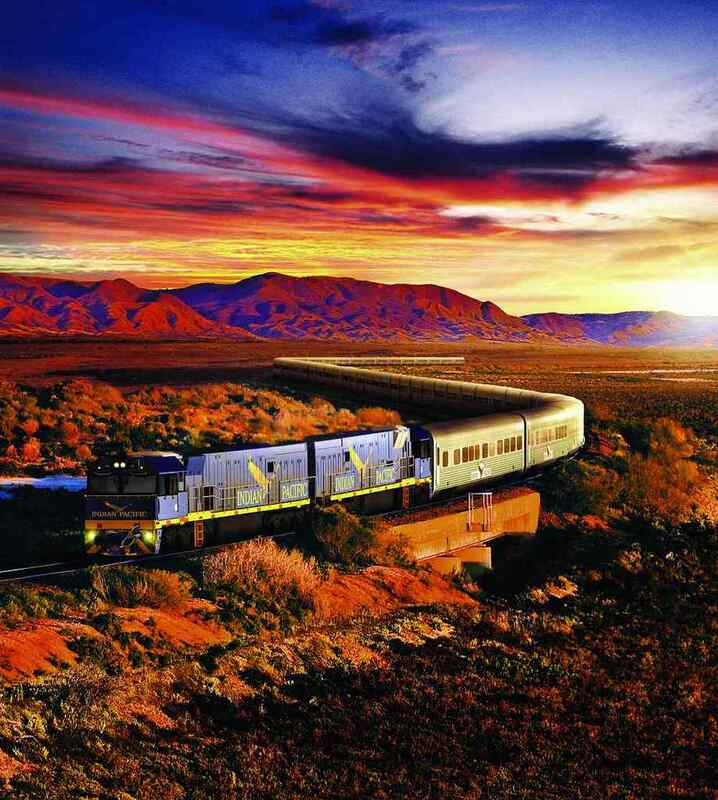 The transcontinental Australian train, the Indian Pacific, offers riders a bi-weekly journey to and from Perth and Sydney. Riders on the train will pass over the longest stretch of straight laying train tracks in the world as they ride across the Nullarbor Plain; approximately 300 miles. In total, the trip crosses 2,704 miles and takes 3 nights to complete. The route is busy especially during the holiday season, and this can mean that you won’t have much room in the lounge car to enjoy a drink or two on your journey. 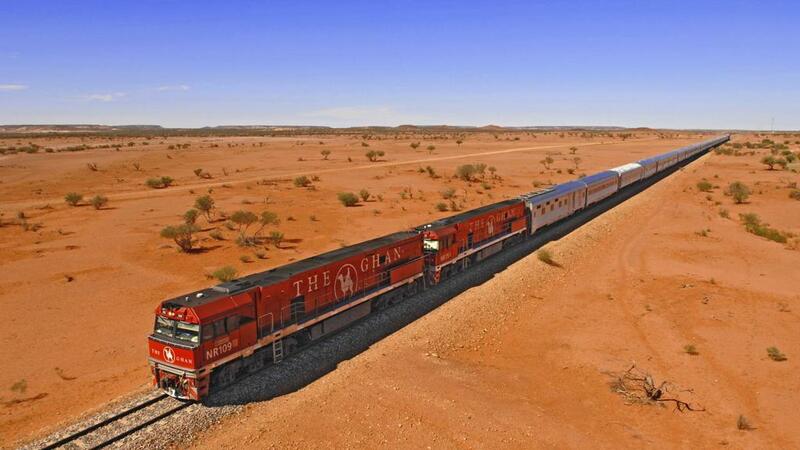 The Ghan actually is named after the Afghan camels that were used to get riders across the last leg of the trip to Alice Springs. In 2004, the train began to take its passengers on a journey from the top of Australia down to the bottom. The trip itself takes two nights and covers a distance of 1,852 miles. In 2008, a new Platinum class was added. There were an additional 24 of these cabins added and each cabin is an incredible 82.5 square feet in size. The Tren Crucero is a daytime only train. It first started began operations in 2014, and only consists of of four carriages: two dining and two lounge cars. 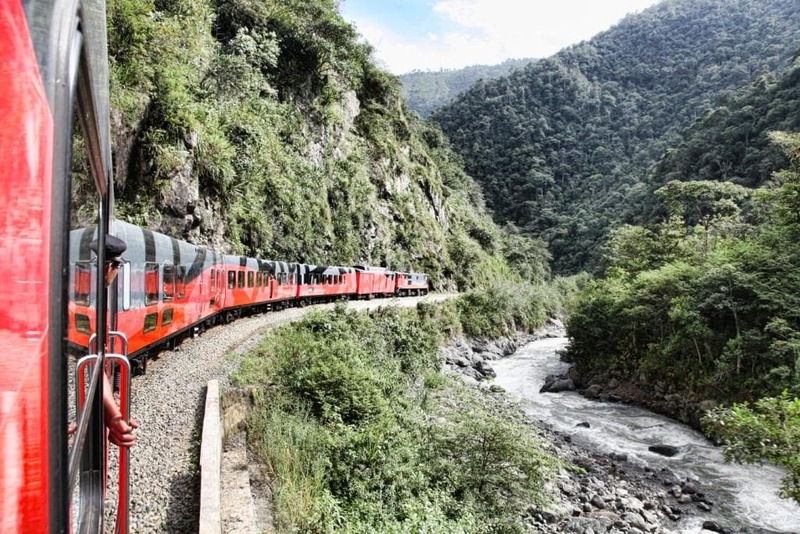 The train carries a maximum of 54 passengers between Guayaquil and Quito on a three night and four day journey. Along the way, passengers off-board for overnights in hotels. The trip along Ecuador gives its passengers a great views of the scenic landscape and the promise of interaction with locals along the way. On this picturesque railway, it is all about the absolutely beautiful views. There are spectacular scenes that leave one simply speechless. The train rides on the steepest standard gauge rails in the world. At 5.5% the line climbs an incredible amount in a very short time. In only an hour, there is already a 2,833 increase in elevation. The track there is around 12.4 miles, but the scenic landscape provides you with many varied views of mountains, waterfalls, ravines, and rivers; each leaving you wanting more. The Taiwanese THSR 700T is a high speed train that first started running back in 2007. 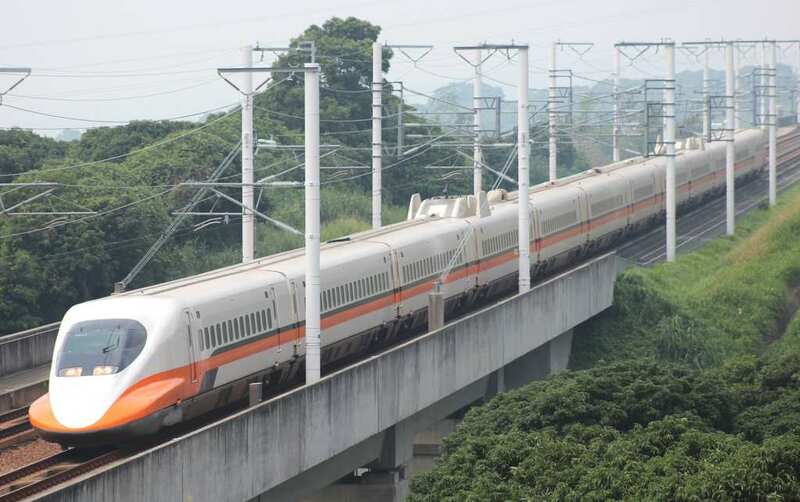 The route between Taipei City and Kaohsiung used to take around four and a half hours to complete, but due to the high speed it has dropped down to a mere hour and a half; saving the average passenger three hours of time. Out of the 12 train cars, nine provide power. The 700T is able to go from 0 to 186.4 mph in only 15 minutes. The ETR 500 Frecciarossa reaches the same top speed as the aforementioned THSR 700T: 186.4 mph. 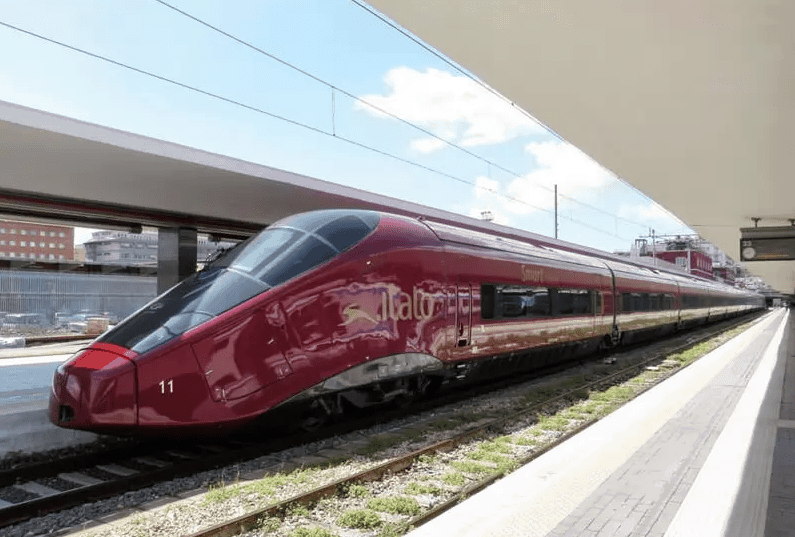 This makes it the fastest train in Italy, and it carries passengers between Naples, Rome and Milan. 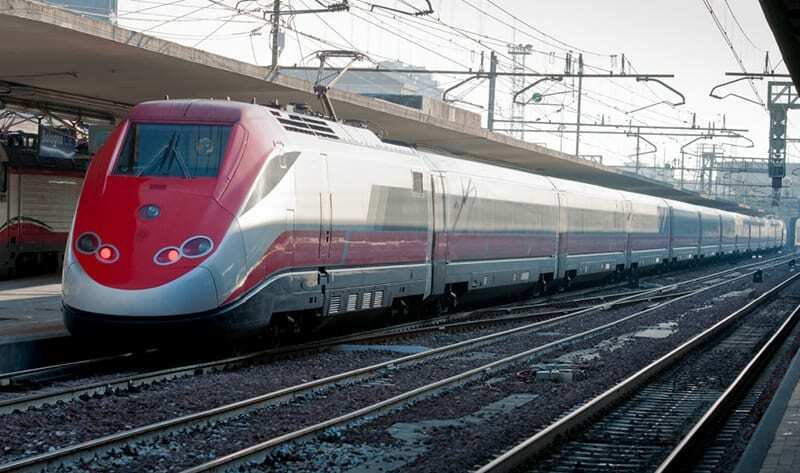 Due to the high speed, the train is able to make it from Rome to Milan in only two hours and forty minutes. The train offers four different classes: Standard, Premium, Business and Executive. All of the classes on the trains are soundproof and include free wi-fi. The high speed TGV Duplex is a powerful and fast train operated by SNCF since it began running in 2011. 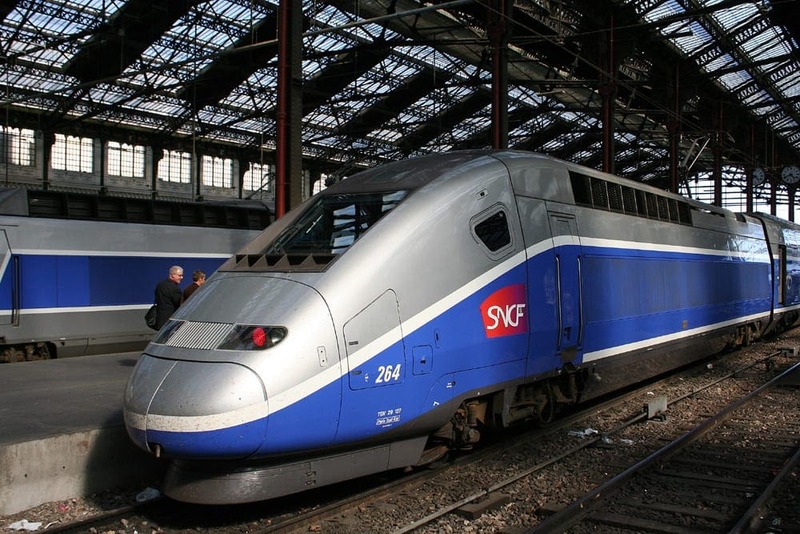 In fact, is is the fastest train in France due to the fact that it reaches speeds of 198.8 mph. The ultra comfortable two level train can carry a maximum of 508 guests and it connects all the major cities in France. The train has an impressive recyclability rate of 90% and offers its passengers a choice from three classes to ride in. The Euroduplex is similar to the aforementioned TGV Duplex. 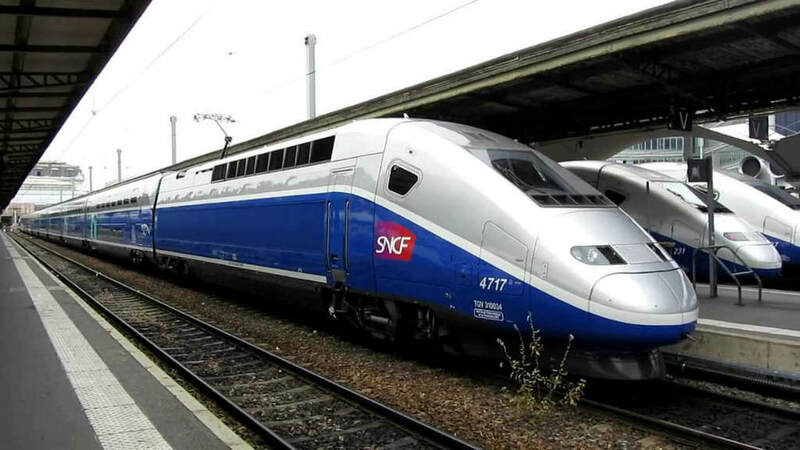 Both trains travel at a maximum speed of 198.8 mph and are operated by the SNCF railway company. The train began operations in December of 2011, and can carry a maximum of 1020 passengers at once. This third series of TGV trains connects French, German, Swiss and Luxembourg railways. Unlike earlier series, the Euroduplex weighs less and even consumes less power. In addition, the train has real time information about the trip on screens near the door or in the seats. The E5 Series Shinkansen Hayabusa is a Japanese bullet train that is operated by East Japan Railway Company and can reach speeds of 198.8 mph. 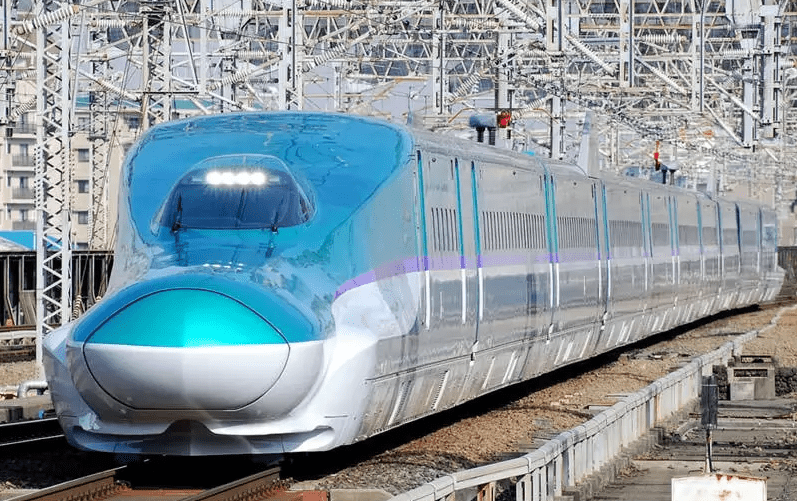 Since its debut in March of 2011, it has been the fastest train operating in all of Japan. The train runs a 444.28 mile track between Aomory and Tokyo and can accommodate a total of 731 in its three lovely classes. The entire trip, at high speed, is completed in only two hours and 56 minutes. The Talgo 350 is a high speed train that runs between the cities of Madrid and Barcelona. Its top speed is 217.4 mph, and features a sort of beak that the very front of the train. This is what gives the train its nickname “Pato”, but in reality it helps the train navigate through high pressure waves. The train is driven by two driving cars and is accompanied by 12 passenger cars. The passengers are able to purchase tickets for one of four class options. The Siemens Velaro E is originally designed by German company Siemens; thus, in Spain this train is referred to as AVS 103. The train, similar to the Talgo 350, runs at a top speed of 217.4 mph and travels between Madrid and Barcelona. In testing, however, the train was able to achieve speeds of 250 mph. Up to 404 passengers are able to make the trip between cities in a short two and a half hours at this speed. In addition, the Velaro E has only eight passenger cars. 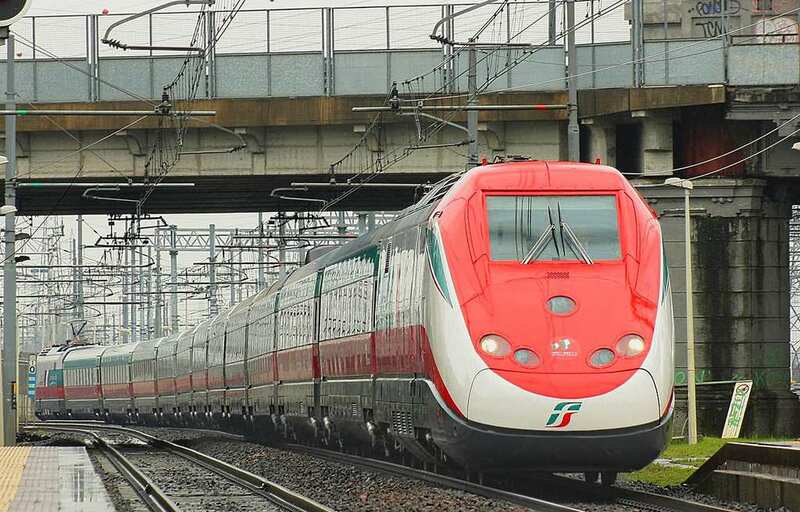 The fastest train in Europe, the AGV Italo operates with a maximum speed of 223.6 mph. However, when tested in 2007, the train was maxed out and able to reach a mind blowing speed of 356.6 mph. Interestingly, the train is constructed out of 98% recyclable materials. The train runs between Rome and Naples, and can make the 140 mile trip in just under an hour. The train has 11 cars and is divided into the different classes for the passengers. All the train’s classes offer adjustable seats, live tv, and even free wi-fi. 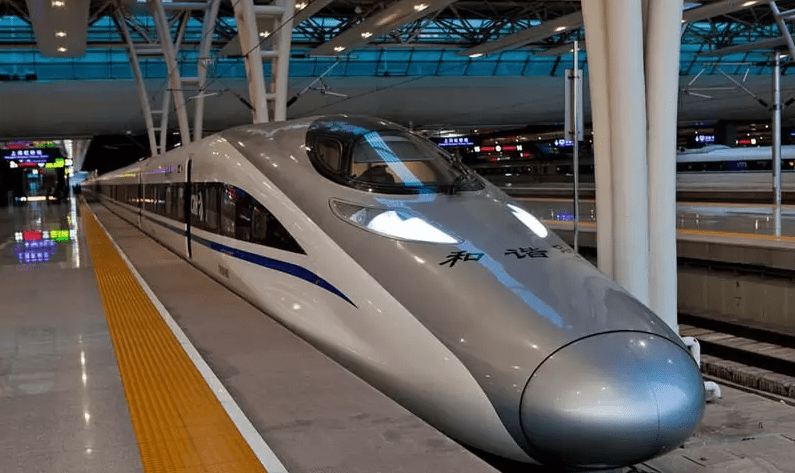 China’s Harmony CRH 380A is the second fastest train in the world. The train is electric and can reach a maximum speed of 236.12 mph. However, when it was initially tested, it reached a record speed of 258.58 mph. 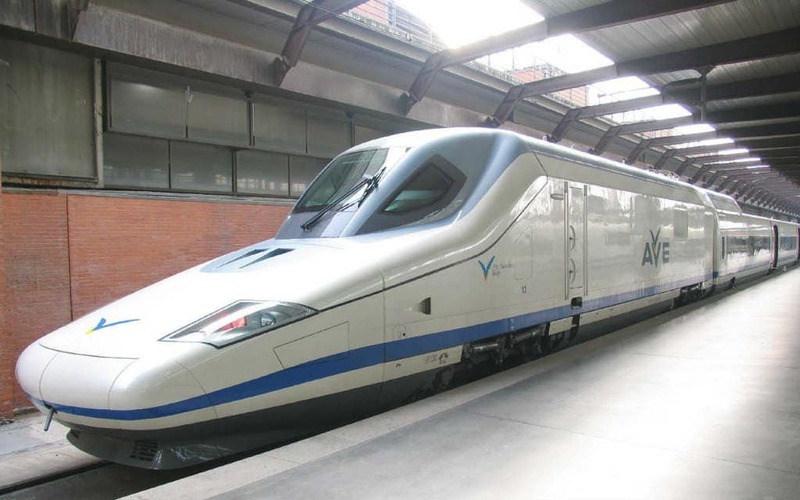 Running between Shanghai and Nanjing, the train became operational for the public in 2010. The train has a maximum capacity of 494 passengers. The passengers, for the most part, receive basic accommodations such as lighting for reading, charging port, and an electronic display. The Shanghai Maglev travels at a maximum speed of 267.8 mph making it the fastest train in the world. 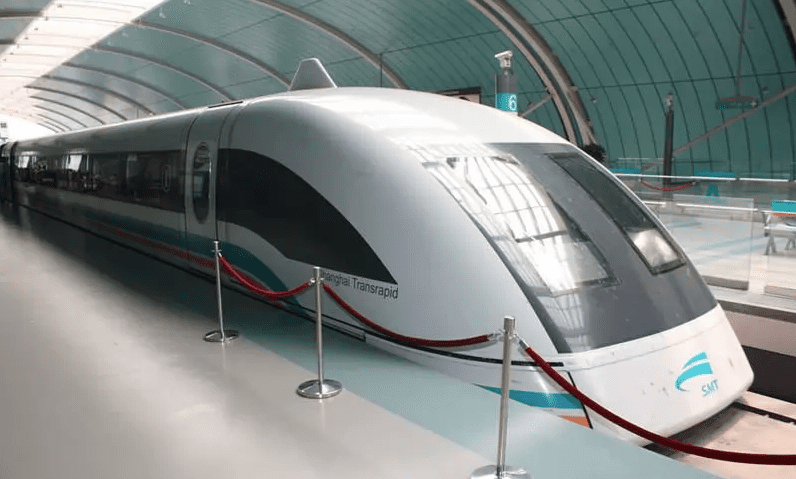 The word “maglev” is actually a combination of two words – magnetic levitation. Thus, the train is actually suspended above the rails by way of magnetic fields. 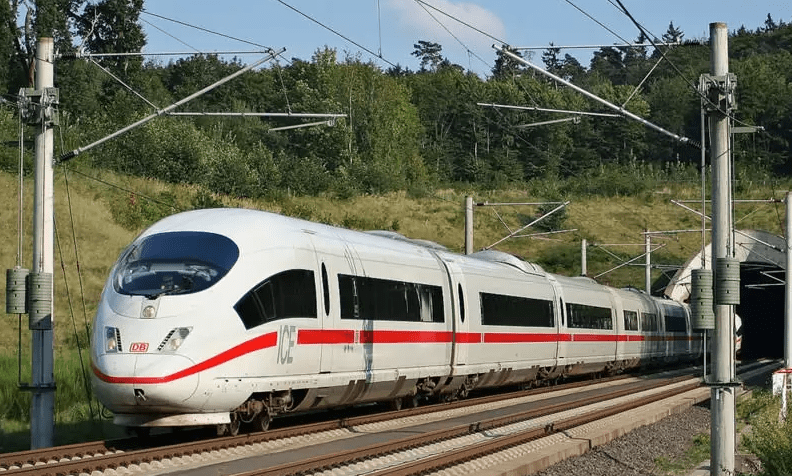 The electromagnetic forces are created by ultra strong magnets that propel the train by allowing it to move forward without any kind of wheels or contact between the train and track. It only takes the train four minutes in order to reach its top speed. 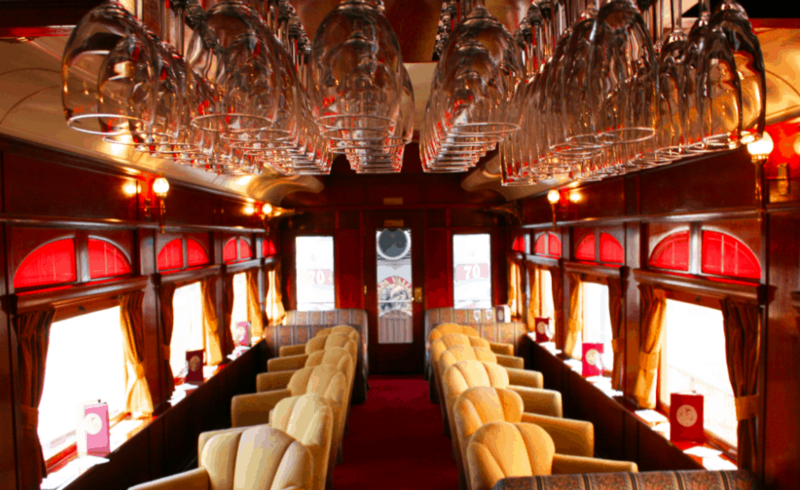 The VSOE is generally considered the most authentic luxury train still around today. The cars have navy and gold coloring on the interior with white ceilings giving it a very vintage 1920s Art Deco feel. However, there are no showers on board the train, and no bathrooms in suite. The train still travels its legendary route, that was made famous in an Agatha Christie novel, to this day; taking passengers from Paris to Istanbul. The other cities it passes through include Venice, Prague, Dresden, and Krakow. 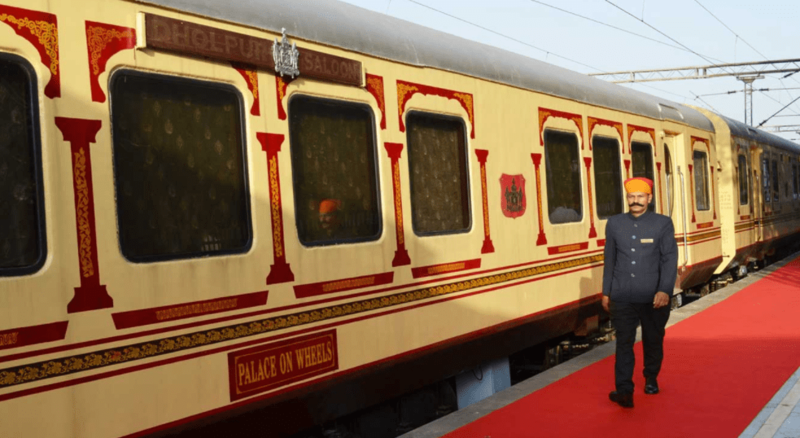 The Palace on Wheels is an Indian luxury train. In 2009, it was refurbished and launched again. Originally the train was developed for royalty, the train has 23 coaches and can carry 104 passengers. 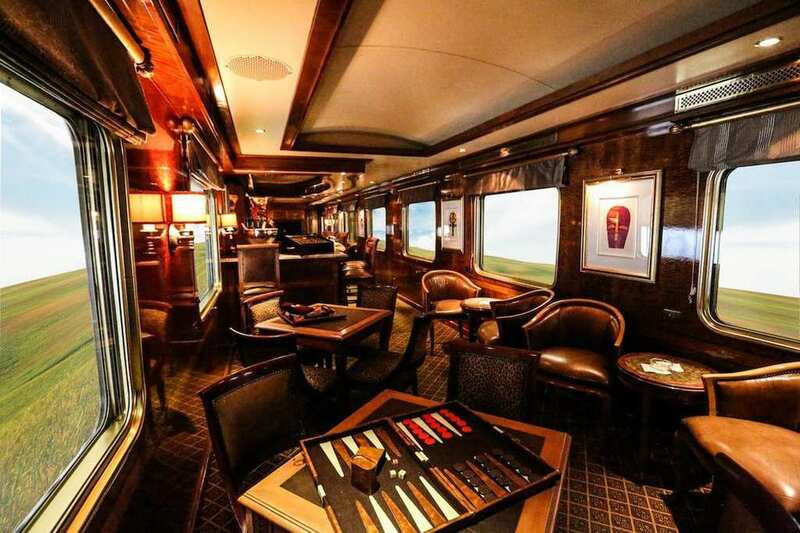 In 2010, the train was voted the 4th most luxurious train in the world. The route that the train takes goes from New Delhi to Sawai Madhopur, Chittaurgarh, Udaipur, Jaisalmer, Jodhpur, Agra and back to New Delhi. The entire journey takes seven nights and eight days to complete. The Copper Canyon Train Tour follows the path of the Chepe (Chihuahua al Pacifico) railroad. The railroad travels across some of the most rugged terrain in Mexico. The trip itself takes nine days and the cost of it is $1000. It begins in Phoenix and works its way down the Sonora Desert through breathtaking scenery while crossing rivers and skirting along the edges of the the mountains. 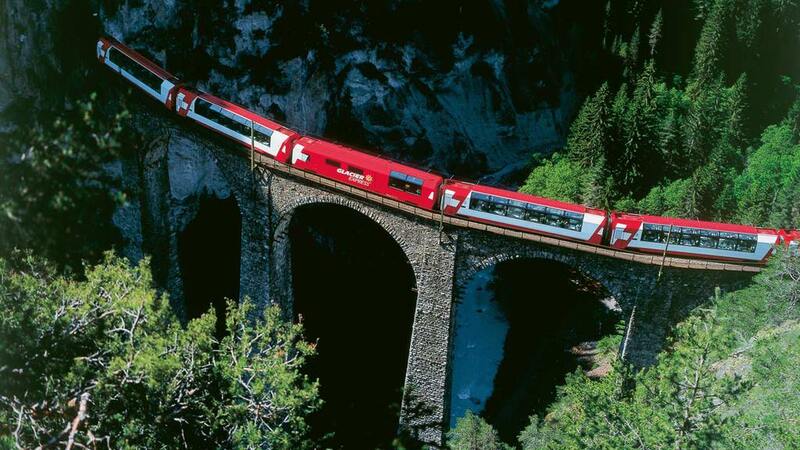 In all, the luxurious train passes through 86 tunnels and over 38 bridges while on its journey. 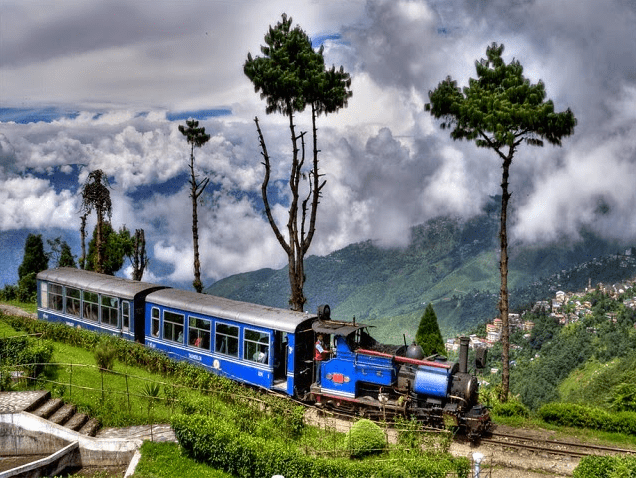 The Toy Train, which runs along the beautiful Darjeeling Himalayan Railway, is a two foot narrow gauge rail that takes passengers between Darjeeling and New Jalpaiguri. The railway was originally completed in 1881 and runs for approximately 48 miles between the final destinations. In addition, the railway is listed as a World Heritage Site by UNESCO. The Toy Train has also been portrayed on film several times including in Bollywood titles such as Barfi!, Parineeta and Raju Ban Gaya Gentleman. The Pullman cars on the Napa Valley Wine Train have a unique story. Many of them were actually built in 1915 as first class coaches for use on the Northern Pacific Railway. During the time, they were considered to be cutting edge technology as they were entirely built from steel. In 1960, the cars were purchased by the Denver Rio Grande Western Railroad who used them until selling them in 1987 to the Napa Valley Wine Train project. The Elipsos Trenhotel transports passengers between Paris, Madrid and Barcelona. The trip takes some so it is not entirely uncommon to find yourself falling asleep in one city only to wake up and eat breakfast in a completely different city. The train offers three classes to choose from: Tourist, Business and Grand Class. Each train compartment can accommodate four passengers and has a sink in the room. In the Grand Class, passengers have a shower as well as a toilet in their cabin. 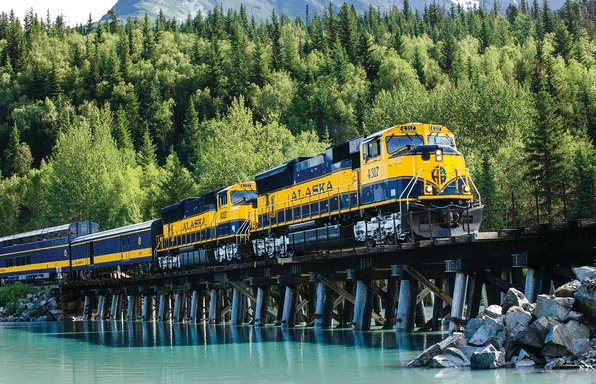 The Coastal Classic is a semi-luxury train that runs between the Alaskan cities of Anchorage and Seward. The train only runs between the months of May through September. This is due to the travelers coming to visit and see the glaciers. The tour has a total of three stops with the average trip taking approximately four and a half hours. The total distance is about 114 miles with the train traveling at around 59 MPH. Passengers can choose between Adventure class and GoldStar Service. 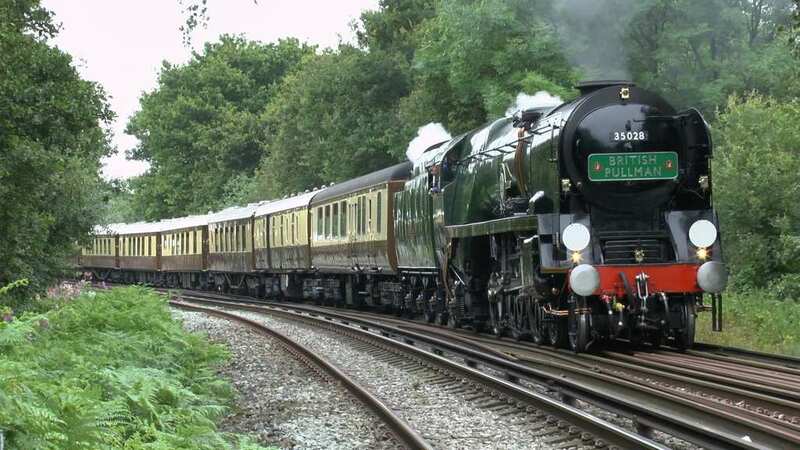 The lovely and picturesque eight day rail cruise through Ireland offered by the Emerald Isle Express is a countrywide tour brought to you by Railtours Ireland. 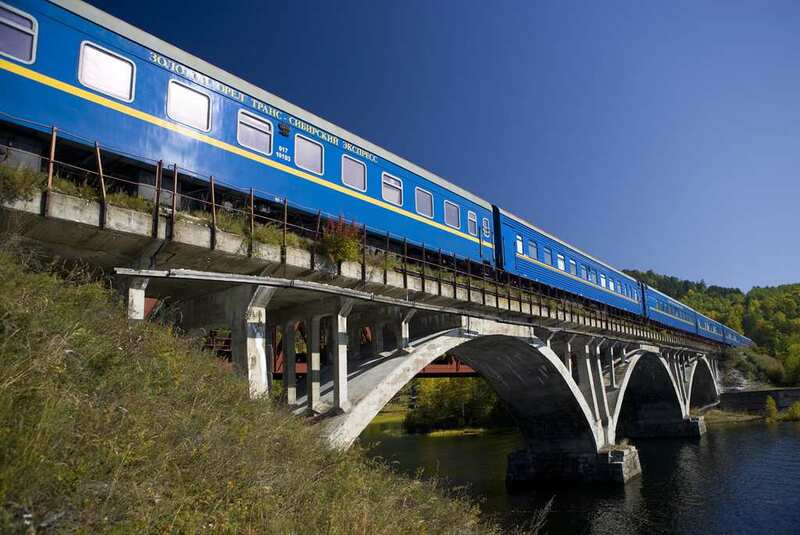 The rail tour features a ride on a blue and gold painted heritage train that has been restored with much attention and care for every detail. The cars are furnished with shined brass and fresh upholstery. Crisp linens and fresh flowers are also used to give a sense of extra amenities. The Shongololo Express has been operating since 1995 out of its home station in Pretoria. The train goes on three different tours which vary in length from 12 to 15 days depending on which tour you take. In general, the train will take guests through South Africa, Namibia, Swaziland, Mozambique and Zimbabwe. The train can accommodate a total of 72 guests in two different cabin types: one with twin beds and one with double beds. In addition, the Shongololo Express features two historic dining cars. The Belgium HSL-1 has been operating since 1997. It is a high speed rail lie between France and Belgium and brings the transit time between Paris and Brussels to approximately and hour and a half. The line is a total of 55 miles in length and travels at a speed of 186 miles per hour. The total cost of construction for the line was a staggering 1.42 billion Euros. This is a large sum yet it can be seen as a great investment due to the fact that this is an extremely popular travel line. 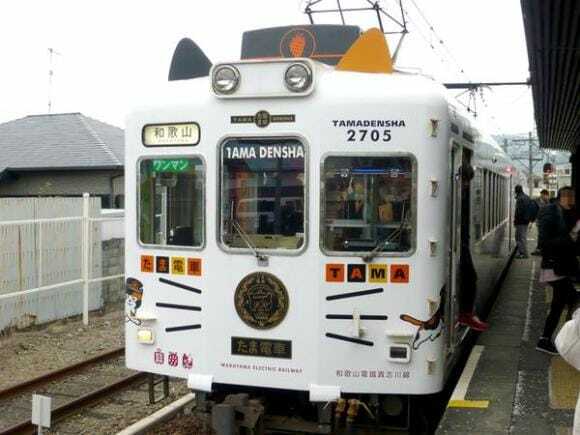 In Japan, there is a well known and much loved cat that was honored as the train’s station master. Unfortunately, the honored cat passed away in 2015, but since then a new apprentice has been named. In 2009, the Wakayama Electric Railway brought on a new Tama Densha train or Tama train. The train was customized with cartoons and many features related or referring to cats. In 2010, a station was created at Kishi and rebuilt to resemble the cats face. 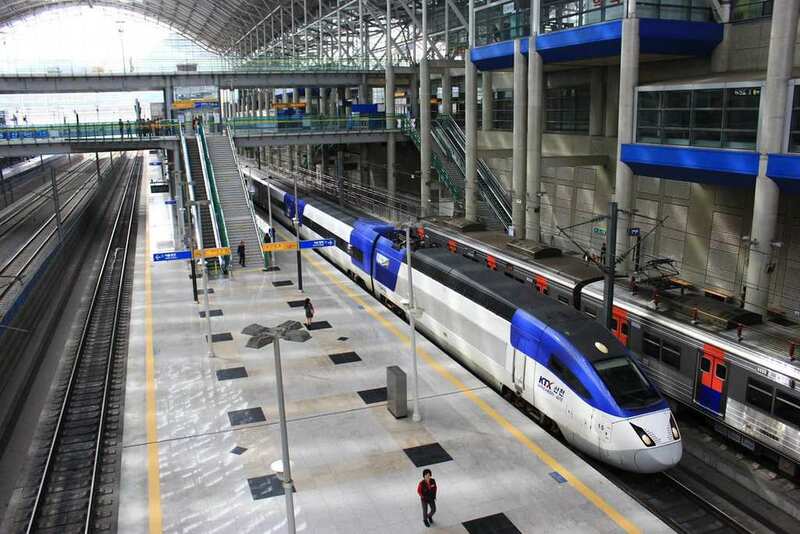 The KTX Sancheon is a high speed train built by Hyundai Rotem. The train has been operated since 2009 by the Korail company with some other operators as well. The train has a top speed of 190 miles per hour and is the second high speed train in South Korea. In addition, the train rail has a overall length of 659 feet which allows it to carry a maximum capacity of 363. The train also features two traction head cars and between them are eight intermediate cars.